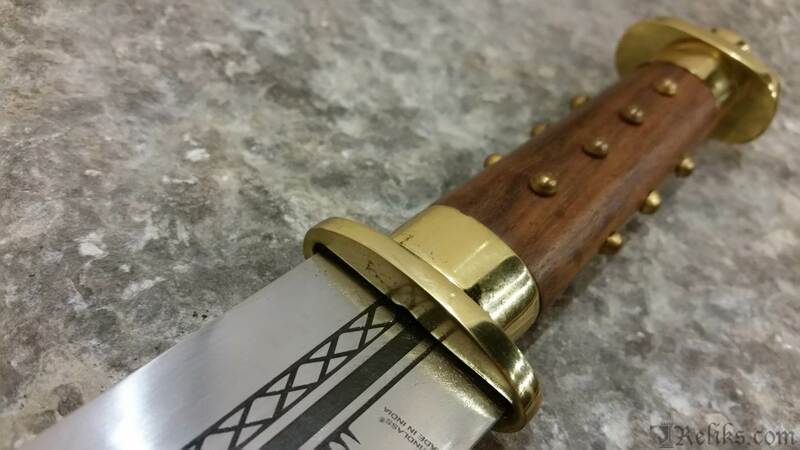 The Viking Seax also known as the sax wasn't limited to the vikings. 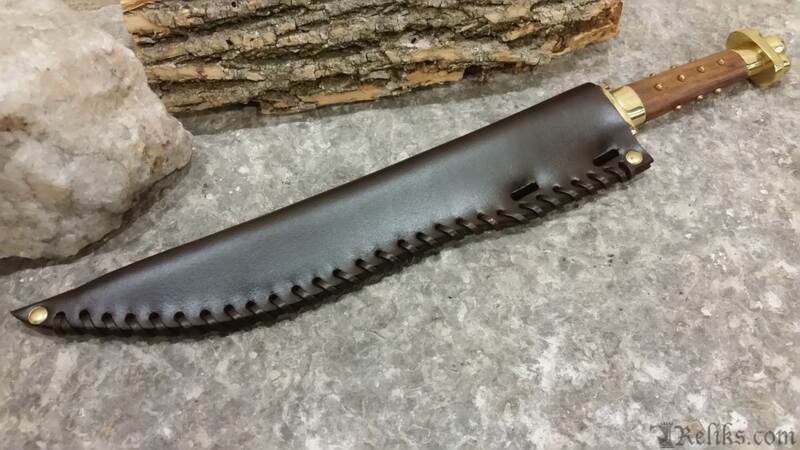 This type of knife was commonly carried throughout many cultures in Northern Europe including the Saxons, Angles and Germanic tribes. 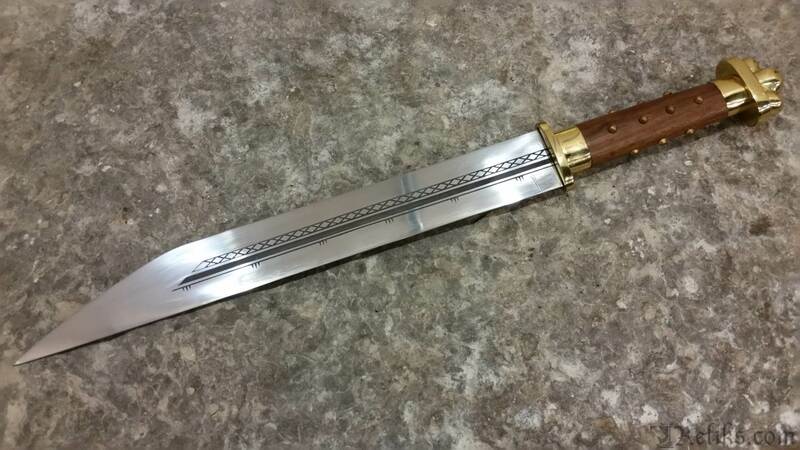 It is suspected that the Seax pre-dates the fall of Rome and continued to be used until sometime in the early middle ages. 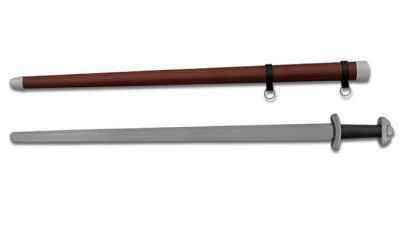 Specifications varied greatly depending on the maker and to the users preference from small 3” lengths extending to the length of a shorts sword around 27-28 inches. The blade profile would vary greatly as well, with this knife being modelled off a piece that can be viewed in the British Museum. The sax is a beautiful and very efficient knife capable of many working tasks. 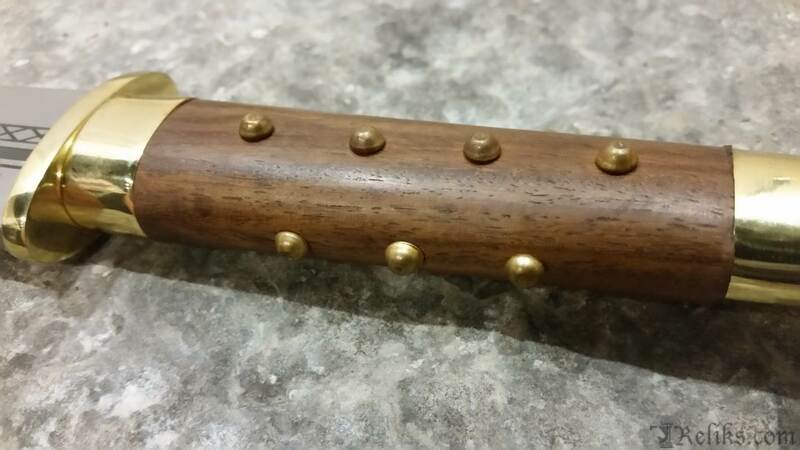 The originals were viewed as general purpose knives that were used for camp work and daily cutting needs. 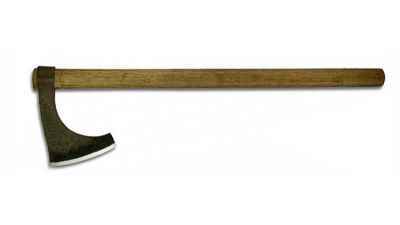 They were also used at sea where their thick blade was suitable for chopping rope or tending to sails. 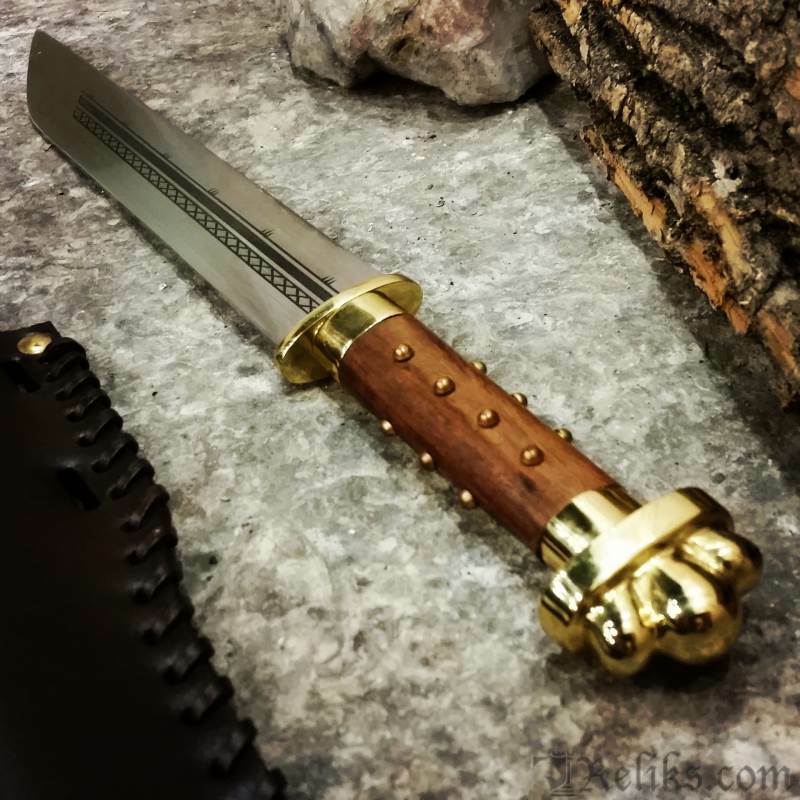 They were not usually used for war but if it happened that your sword or axe was not available it could be lethal in the hands of a skilled knife fighter. 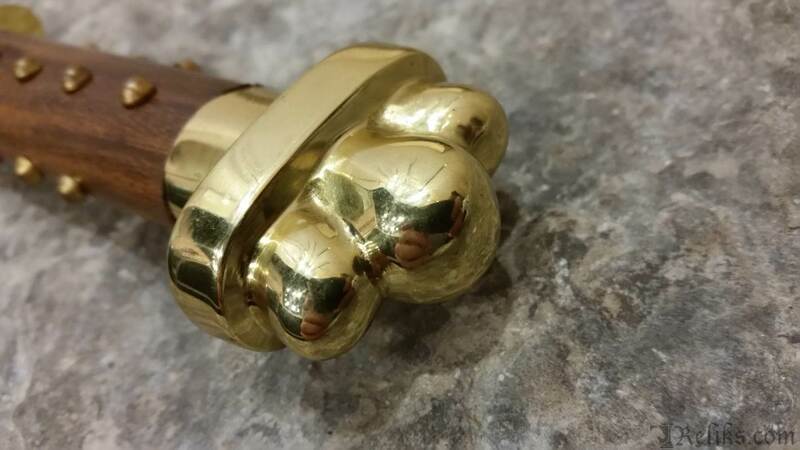 The lobed pommel and guard are made from brass and the wood grip is studded with brass tacks giving it a surprisingly comfortable and secure grip. 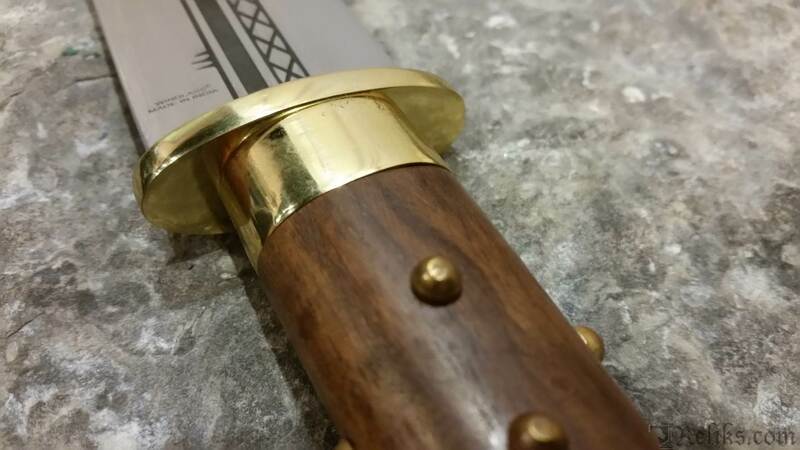 The blade is forged by a professional blade smith out of a billet of high carbon steel and then heated and oil quenched to a perfect temper. This process gives the blade improved durability and the ability to absorb the shock of impact when chopping. 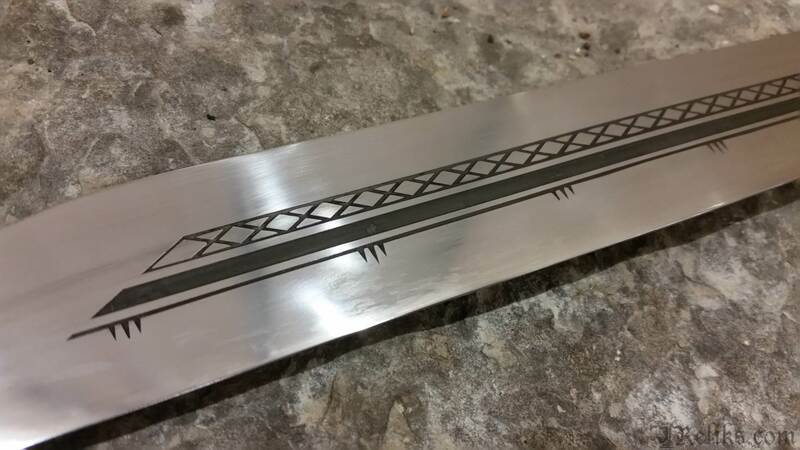 The blade is etched on both sides for aesthetics on a blade capable of achieving a razors edge. 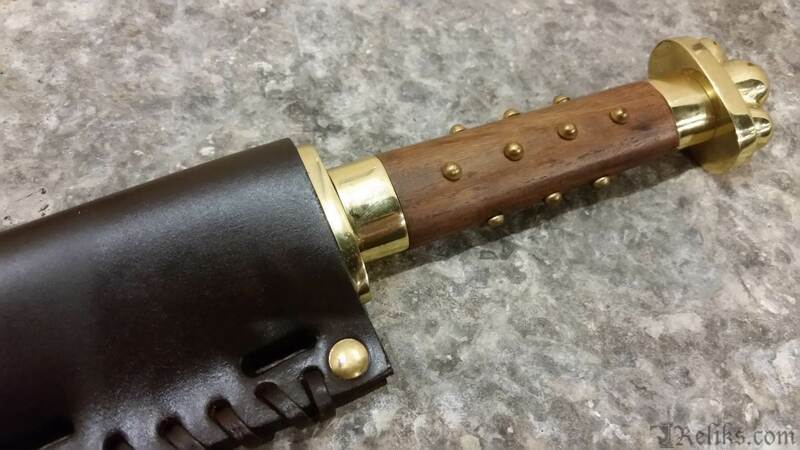 The included leather sheath is riveted and laced like the originals to tie to a waist belt. Reliks Response - This piece is made by Windlass Steelcrafts in India. You should have no problems with this historical reproduction. 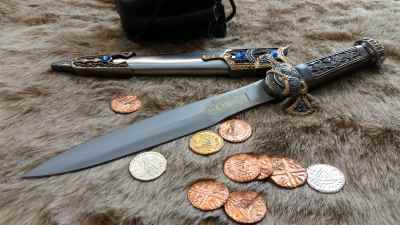 Reliks Response - Most of our functional European swords and daggers come un-sharpened for Western martial arts, theatrical productions and fight choreography. The optional sharpening service is located as check box just about the "Add To Basket" button if you require a live edge for cutting.